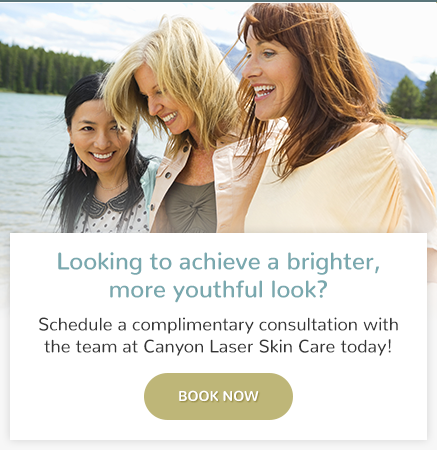 Canyon Laser Skin Care provides chemical peel treatments in North Vancouver, as part of a patient's skin care treatments. Peels help repair sun damaged skin, improve fine lines and wrinkles, smooth out rough discoloured skin, control acne problems and brighten dull skin. By combining Alpha Hydroxy Acids (AHA) and Beta Hydroxy Acids (BHA), chemical peels can provide an even exfoliation with less stinging and irritation than previously available. Most commonly treated areas are the face, neck and chest. How do peel treatments work? The active ingredients work by speeding up and repairing cell regeneration, while bringing new healthy cells to the surface of the skin, effectively renewing the skin’s surface. At Canyon Laser Skin Care in North Vancouver, BC we use a variety of chemical peel strengths which allow us to customize a treatment plan based on your skin type and concerns. How do peel treatments feel? Alpha Hydroxy Acid (AHA) and Beta Hydroxy Acid (BHA) peels result in a dramatic improvement in the skin’s clarity, texture, colour and tone. Diminishing fine lines and wrinkles, resulting in tighter, smoother skin. Pores appear smaller and are clear of impurities. Patients remark how their skin feels “refreshed and glowing”.